While low testosterone, a condition known as low-T, has gotten a lot of press for men, it seems like everyone should be paying attention to everyday hormone disruptions—men, women, and children. Research is showing that both men and women maybe affected by household chemicals that interfere with typical hormone function. And it's not just a guy thing. Low testosterone is linked to strength, brain function, bone density, and heart health in both men and women, along with birth defects in newborn boys. 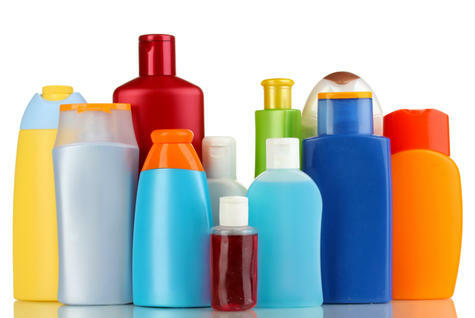 Measures of phthatates, a hormone disruptor found in plastics and personal care products, in the body correlated with decreased levels of testosterone in new research published in The Journal of Clinical Endocrinology & Metabolism. "We found evidence that reduced levels of circulating testosterone were associated with increased phthalate exposure in several key populations, including boys ages 6 to 12 and men and women ages 40 to 60," says study coauthor John D. Meeker, MS, ScD, associate professor of environmental health sciences at the University of Michigan. Boys age 6 to 12 saw 24 to 34 percent declines in testosterone. This is a concern because low testosterone at this age may impair reproductive function later in life. Specifically, this drop was found in response to a phthalate called di-(2-ethylhexyl) phthalate, or DEHP. Females age 6 to 12, 12 to 20, and 40 to 60 all saw drops in testosterone connecting to exposure to phthalates, with drops ranging from 11 to 24 percent. For men ages 40 to 60, the group most commonly concerned with falling testosterone levels, phthalate exposure was connected to a 8 to 13 percent decrease in testosterone. Triclocarban (TCC) is another hormone disruptor and antimicrobial agent found in soap, explains Myatt Murphy, CSCS, author of Testosterone Transformation. "There's a reason men were meant to have a little dirt under their fingernails: It keeps us from turning into women," jokes Murphy. He also points out that even certain natural substances commonly found in soap, including lavender and tea tree oil, have also been found to interfere with testosterone levels. "Thanks to plastic, you've been able to enjoy food in convenient on-the-go ways that your icebox-dependent forefathers could only dream of," says Murphy. Too bad it comes with a price. "BPA, used to make plastic food and drink containers, has been slowly chipping away at your testosterone." He explains that, by mimicking estrogen, BPA tricks your body into storing excess body fat, and research has shown that body fat converts testosterone into estrogen. What a nasty cycle! And low testosterone is just the beginning.